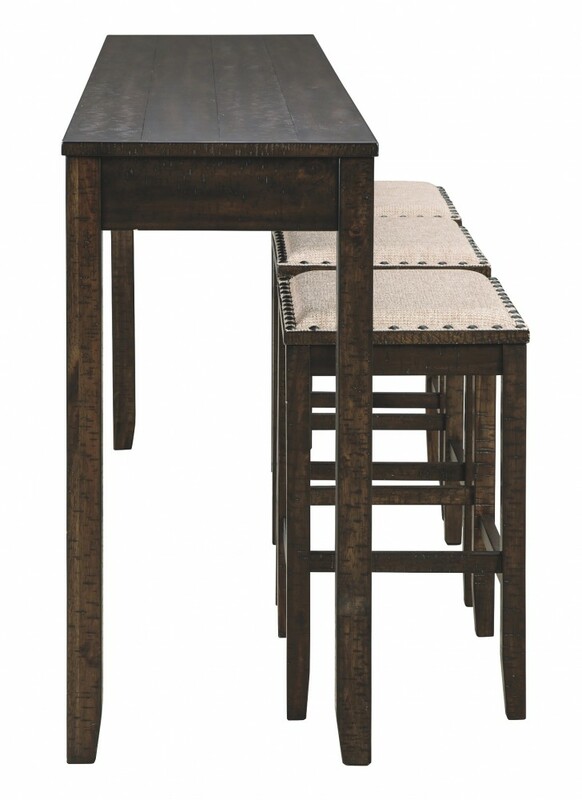 Make gatherings memorable with this ever-trendy farmhouse seating set. 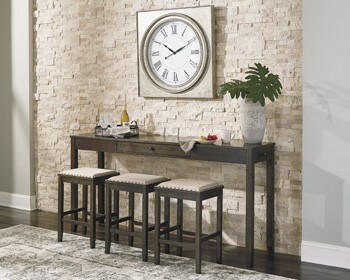 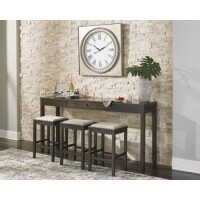 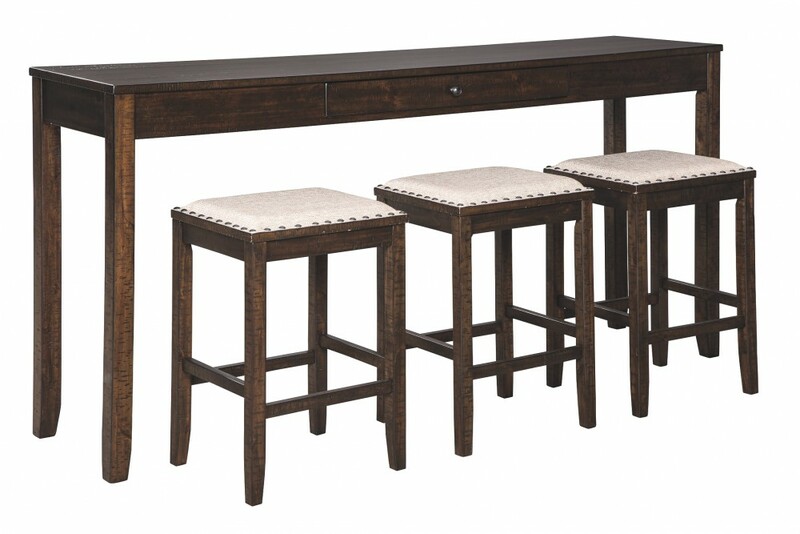 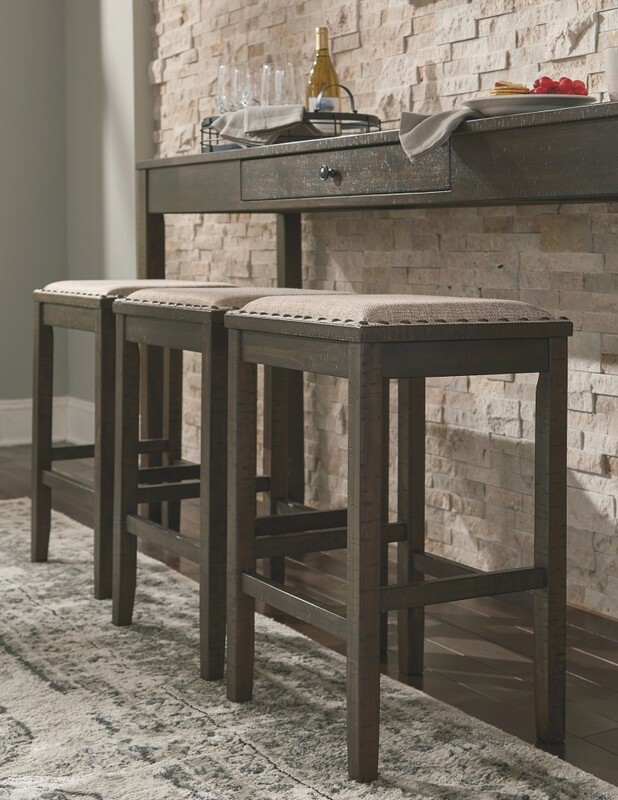 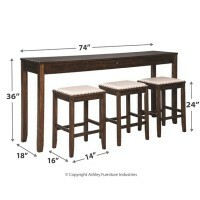 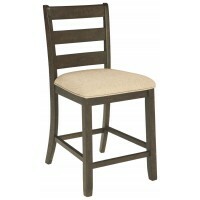 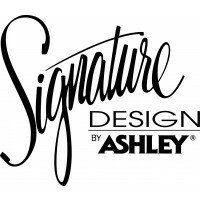 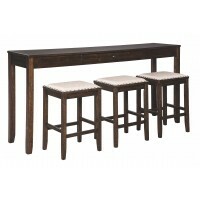 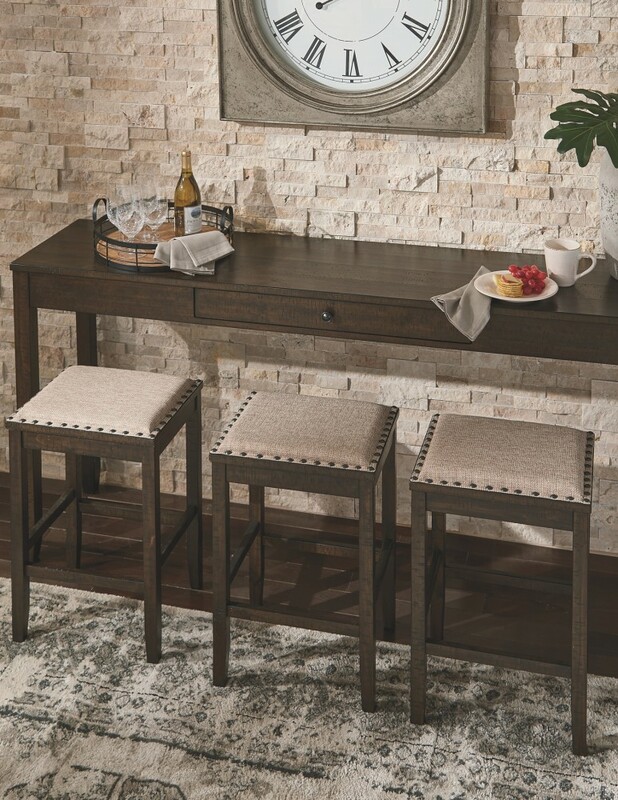 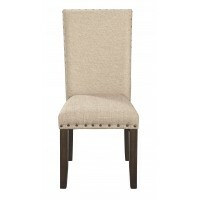 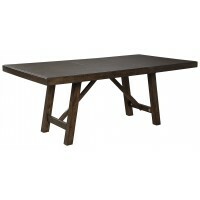 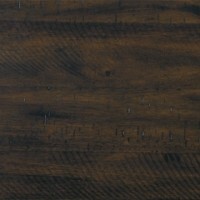 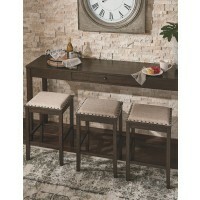 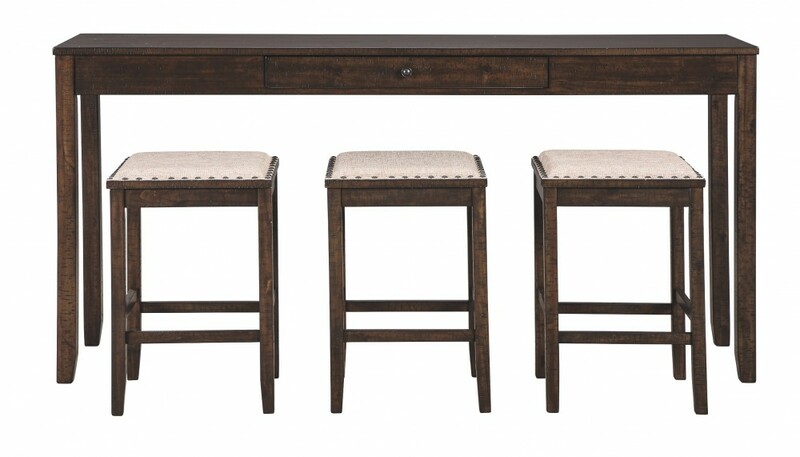 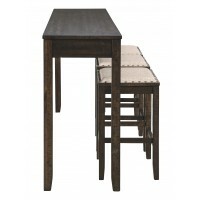 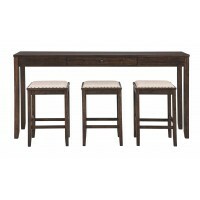 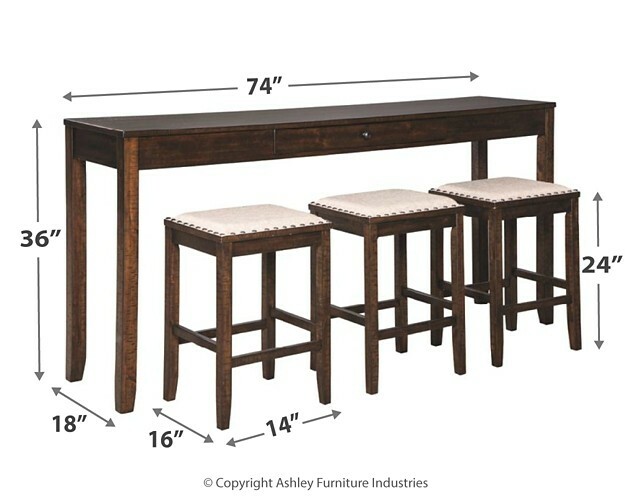 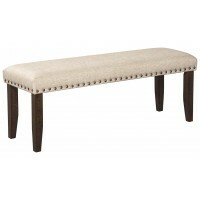 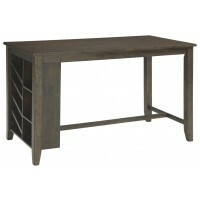 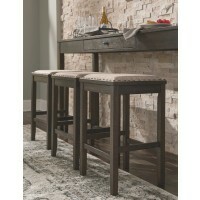 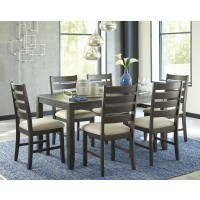 This counter height table set keeps things cozy with its light brown textured fabric and cushioned seats. 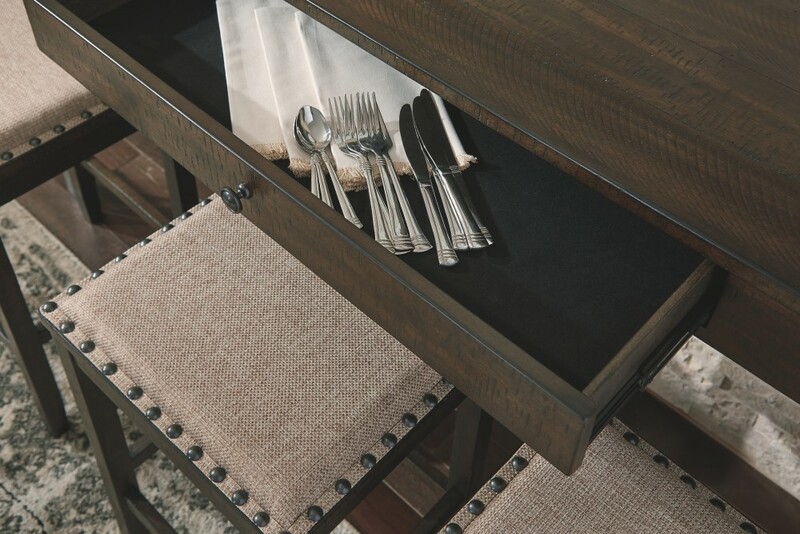 An ideal size for behind the sofa, for an eat-while-you-watch experience, you’ll love how nailhead trim punctuates the beauty of the natural wood grain. 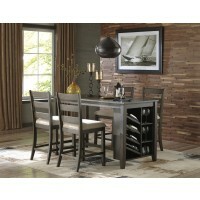 One thing’s for sure, this 4-piece urban farmhouse set is sure to impress come mealtime.